The last ship built in Aberdeen switched today from providing St Helena’s sole lifeline to joining the fight against Somali pirates. 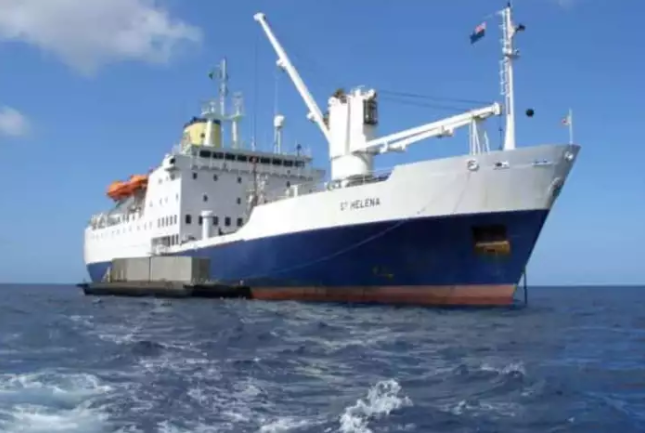 Royal Mail Ship (RMS) St Helena, which linked the remote Atlantic island to South Africa for nearly 30 years, was sold today to investors on behalf of MNG Maritime. The firm ferries armed guards and weapons to protect shipping in the Indian Ocean. The vessel made its last 1,500-mile voyage between Cape Town and the British overseas territory in February, after its long-delayed airport opened. There had been fears the ship would be scrapped if a new owner was not found. Built in 1989, it has transferred people and cargo on its five-day voyages since 1990. The ship, currently berthed in Cape Town, will be renamed MNG Tahiti and is expected to enter service within two months. The name was chosen because explorer Captain Cook visited both islands and the St Helena Government asked for the vessel’s name to be changed. MNG Maritime co-director Mark Gray said the ship would transfer guards and equipment to vessels entering the "high risk" area off Somalia and in the Red Sea, from its new base in the Gulf of Oman. The former Royal Marines colonel, who is a counter-piracy expert, previously commanded a naval task group off Somalia. He said RMS St Helena was ideal for the job. He said: "You could not have designed a better ship - we need to store a lot of kit and people. "It is about the only ship I have come across that is exactly that. "Taking over the vessel's heritage is extraordinary." The ship was bought on MNG’s behalf by investors who formed a new company, Tahiti Shipping Limited, for the purpose. A spokeswoman for the St Helena Government (SHG), which owned the vessel, said it authorised arms-length operator St Helena Line (SHL) to sell. She said: “A sale was concluded today. “The buyer is Tahiti Shipping Limited, who took ownership of the vessel this morning. The ship was due to have ended its St Helena role two years ago but continued in service because of delays to the opening of the airport caused by the need to mitigate the impact of dangerous winds. It travelled 2.5 million miles and carried 101,000 passengers since taking over the route. The 6,700-tonne vessel could accommodate 156 passengers in 56 cabins, and had a 56-strong crew. The vessel was built at Hall Russell as the last of more than 3,000 constructed in Aberdeen since at least 1606. It was also the last working Royal Mail Ship in continuous service. St Helena, which is ten miles long, is where Napoleon was imprisoned in 1815. It has a population of about 4,000 and receives some £75m a year in UK government aid, administered from the Department for International Development’s offices in East Kilbride.